June 8, 7:00 p.m. and June 9, 2:00 p.m.
Louis XIV of France becomes king at age 4 when his father dies. His mother, Queen Anne of Austria, governs the country with the help of Cardinal Mazarin. The high tax causes a five-year revolt, and Louis has to flee from Paris several times, a traumatizing experience for the young king. Fortunately, dance lessons help him navigate through ebbs and flows, and dancing allows him to express himself in a way that he was unable with words. 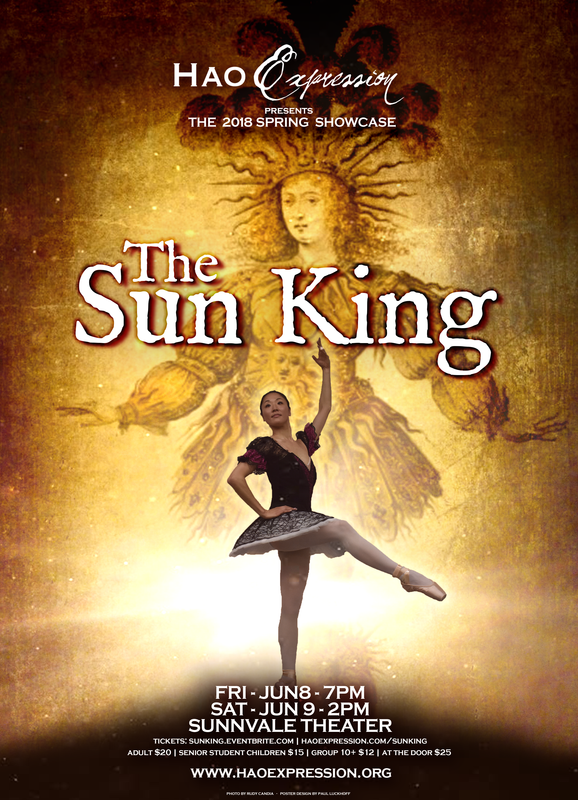 In this HaoExpression Spring Showcase, follow Louis XIV from his childhood to the day he founds the first ballet school, and the legacy he left to ballet and subsequent forms of dance. Story based on the biography of king Louis XIV of France, and the book "The Childhoood of the Sun" by Anne-Marie Desplat-Duc. The production is codirected by Bay Area based, Cuban ballet dancer Rudy Candia, and French-Vietnamese artist Hao Bach-Thai Lueckhoff.